Whenever possible make sure your pet is indoors before dark. At Halloween cats and dogs are safer inside rather than outside. Windows and cat flaps should be closed to prevent escape and to keep loud noises out. Help get your pet used to the loud noises associated with fireworks. There are clips available on You Tube which may help. These clips can be played at low volumes initially and relaxed behaviour can be rewarded with a treat. Allow your pet to express normal behaviours which may include hiding in a safe and comfortable place. Cats particularly, like to hide in elevated places, such as on top of furniture and wardrobes. So leaving a cardboard box on its side with bedding in it should provide a secure hiding place. Dogs often prefer to hide under furniture and especially under beds. Trying to cuddle your pet and reassure it and not allowing it to express normal hiding behaviour can be very stressful for them. However if your cat or dog comes to you for reassurance then stroke and reward him or her. 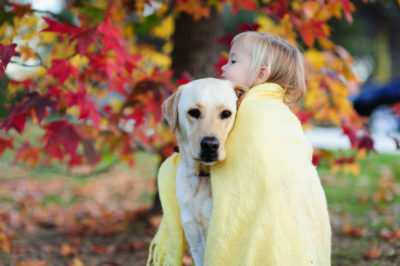 You may find it beneficial to play with your pet to distract them from noises and flashes. Both cats and dogs are curious and will investigate Halloween decorations. They may inadvertently eat them or injure themselves and should always be supervised. Try to keep decorations out of your pets reach as much as possible. If you are hosting or attending a party be careful to ensure that feral cats and hedgehogs have not hidden in the bonfire before lighting it. Try to light fireworks as far away from the house as possible to minimise stress to your pet. Sparklers can make a hissing noise which can be particularly alarming to cats. Take care of candles as the flickering can be particularly attractive for cats and dogs to investigate. Be aware of your pets’ tail drifting over candles and becoming singed. Also it is important to be aware that cats may knock candles off surfaces. To avoid these issues it is an idea to just use battery operated candles. Tick or treat sweets are very dangerous for cats and dogs. Chocolate contains threobromine which is toxic to most animals. A cat or dog would have to consume a large amount of chocolate for it to be fatal, but small amounts can cause signs of toxicity including vomiting, diarrhoea, hyperactivity, lethargy or depression. Make sure children know not to share their treats with pets. It is better not to dress cats or dogs up in Halloween costumes. Some costumes can also restrict movement, eyesight and hearing. Cats and dogs find this uncomfortable and can be frightened and stressed by it. 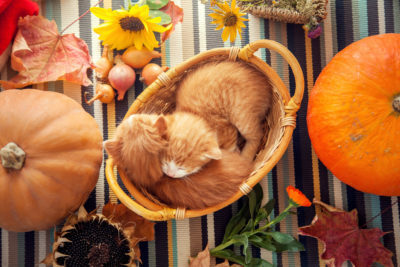 Finally, Halloween is a festive time for family and your pet is a major part of the family. So be sure to enjoy this special family fun time together and keep your pets safe. This entry was posted in News, Pet Health and tagged Halloween and pets, halloween cats, Halloween dogs, keep pets safe at halloween. 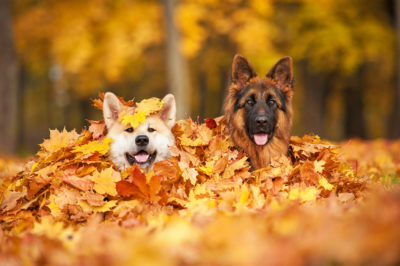 Halloween dogs, Top Tips for Pet Safety at Halloween.